W e are a community of learners. 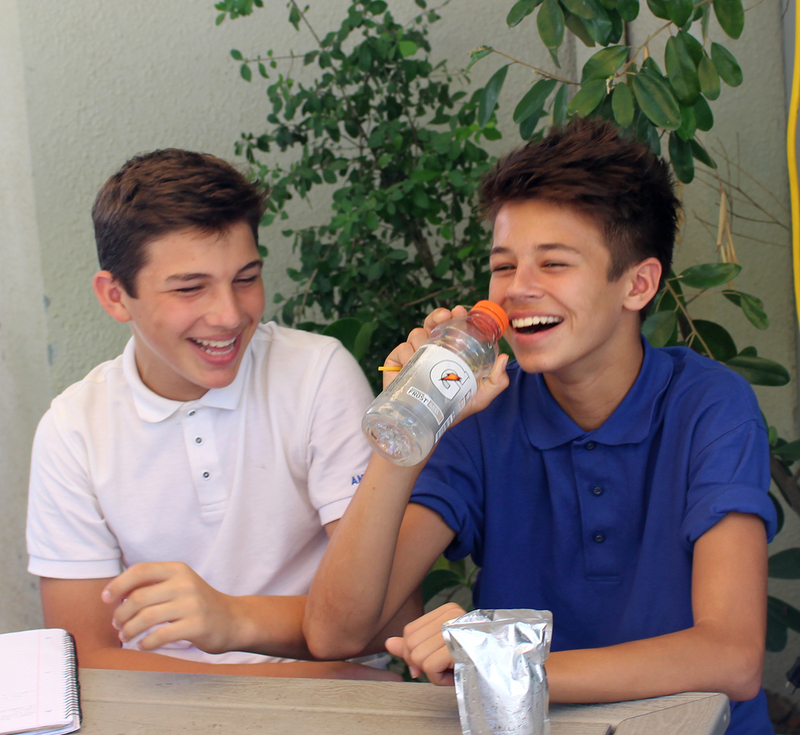 Characterized by curiosity and vitality, as well as independent and interdependent thinking, the culture of Antilles Upper School is welcoming, dynamic, enjoyable, collegial, and respectful. 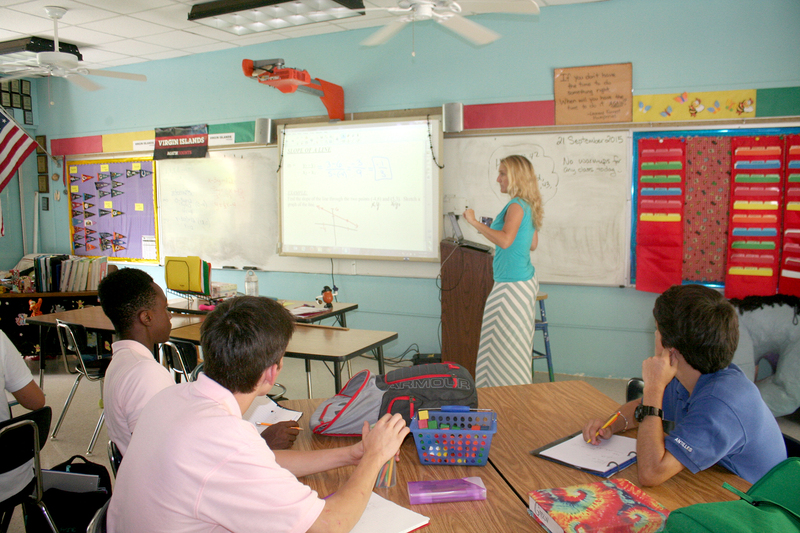 With a shared sense of purpose, faculty and staff prepare upper school students for success in college and in life, guiding students to sharpen their abilities to read critically and imaginatively; to communicate with clarity, coherence and precision; to ask questions, solve problems and determine the reasonableness of solutions offered; and to apply logical reasoning to a broad range of situations. Faculty and staff encourage students to stretch, take responsible risks, and to reach beyond their grasps. The upper school academic program is balanced and robust with a strong commitment to the Advanced Placement Program of the College Board. Students expand their knowledge in history and the social sciences; literature and language arts; the sciences and mathematics; and Spanish language and cultures; the visual and performing arts; and physical fitness and health. Through classroom, laboratory, studio, and field experiences and the personalized time and attention of faculty, advisors and counselors, students gain self-confidence as they learn to examine various perspectives, take and defend decisions, pursue individual thought and passion, and participate in civic and cultural action and thought. Along with the acquisition of core knowledge, our classroom practices and educational program are designed to cultivate personal, cultural, and global awareness. Learning experiences advance the development of attitudinal habits, such as persisting and questioning, leading and serving, listening and understanding with empathy, taking responsible risks, and creating, imagining and innovating. For a more detailed description of our class offerings, please see our Program of Studies. 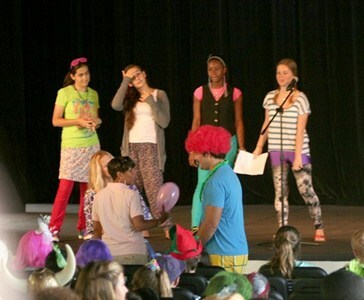 A ntilles students have extended learning experiences in the visual and performing arts, which are central to their unique and creative learning experiences. 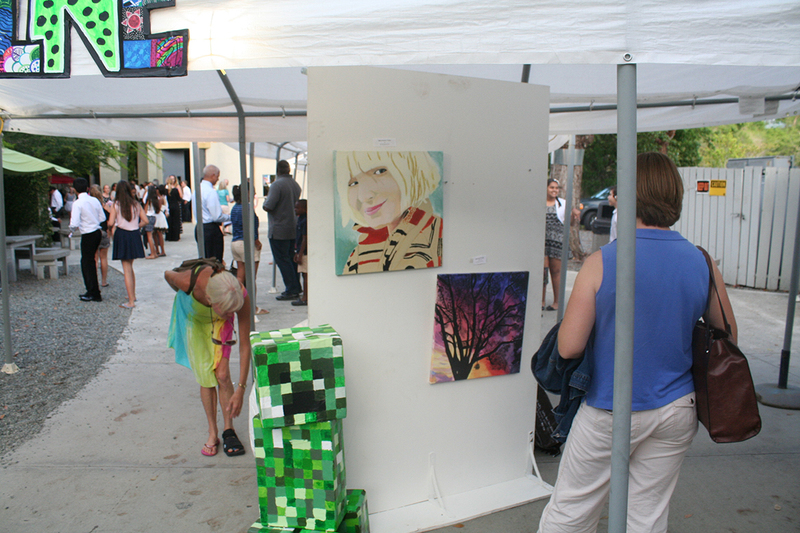 All upper school students take part in studio art, creating visual works of art, which may include drawing, painting, graphic design, and digital photography. Students participate in the theatre arts, as well, learning specific knowledge and skills associated with script-writing, acting, scenic and design production, and directing, as they polish their abilities to communicate. Upper school students, novice to experienced, may elect to join band, steel band, and percussion ensemble. Click here to view photos of recent performances and student made videos. We offer age-appropriate information, skills training, and fitness activities necessary for upper school students to make healthy life choices. 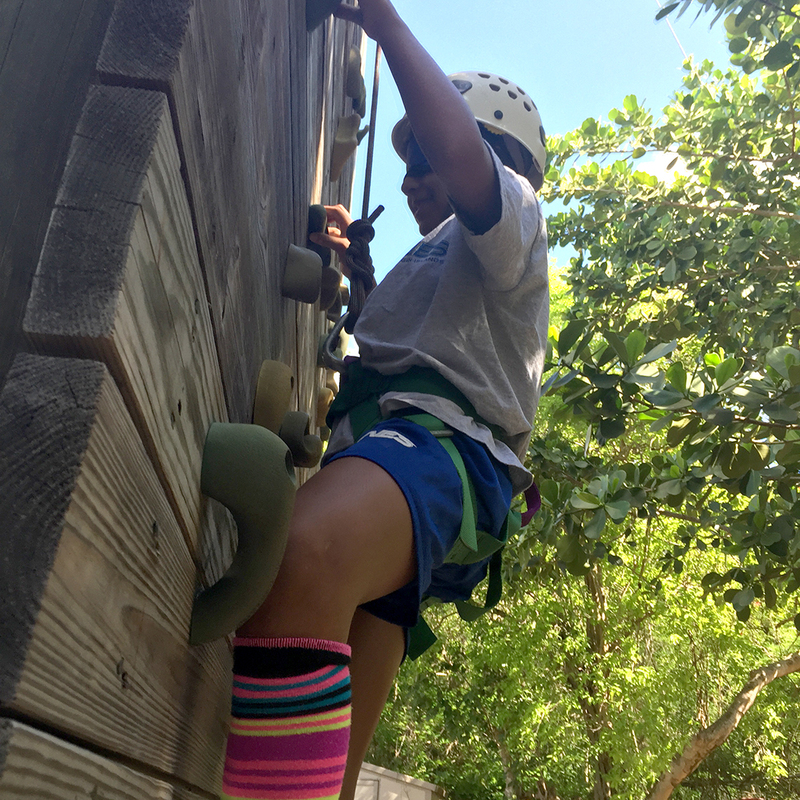 Our program has three interconnected facets: physical fitness activities, health learning, and sports playing. Continuing to focus on Physical Best, students assess their own physical fitness levels, establish personal goals, monitor their status, and practice skills necessary to acquire lifetime fitness habits. Students develop advanced sport-specific skills in physical activities including individual, duo and team sports, dance, and outdoor pursuits. They use offensive and defensive strategies and appropriate rules for sports and other physical activities. Students explore wellness topics pertaining to mental, emotional, social, and personal health. They discuss developmental changes that occur throughout life, teenage relationships and responsibilities, substance use, misuse, and abuse, nutrition and energy, eating disorders, sleep deprivation, treatable diseases and conditions, preventing abuse and violence, and safety and risk reduction. 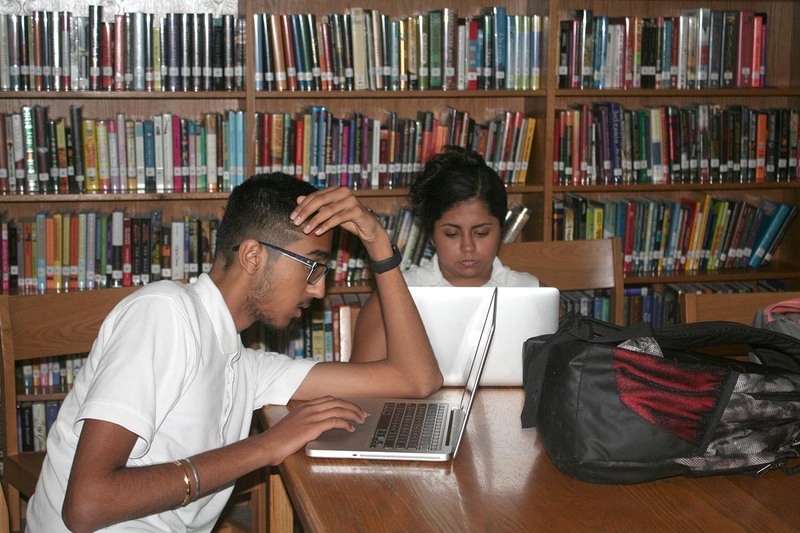 Technology and its applications are woven throughout the curricula, as upper school students employ technology to create original works, individually and collaboratively; explore issues using models and simulations; identify trends and make predictions; collaborate and publish with peers; plan and conduct investigative research; and, learn to locate, organize, analyze, evaluate and ethically use information from a variety of sources and media. College placement counseling offers individual guidance and information to students and parents, assisting them with the college application and selection process. College placement counseling may begin informally when a parent or student asks for guidance, even if the child in question is not yet in Upper School. In some cases, that first encounter may come because of attending a college night program; in other cases, it happens when parents call or email the college placement counselor or when a student asks questions of an advisor, teacher, or guidance counselor. In addition to these interactions, the formal college placement counseling program begins in earnest in the fall of junior year, when PSAT results come back, and later, when the college placement counselor begins meeting with the junior class. College Workshop courses commence in second semester of the junior year and continue through the first semester of senior year, after which individual meetings with seniors and their parent/s may take place right up until a matriculation deposit is made in May of the graduating year. Click here to view our School Profile. Community is a core value at Antilles School. Each day, throughout the day, we set aside time to focus on building community, thus enhancing connections and commitments among and between students, teachers, and staff. Understanding the importance of relationships, we take time every day to create our social life at school together. The ties we build enrich our lives, enhance friendships, strengthen collegiality, support our natural interdependence, enrich our individual and collective well-being, and bind us to a shared sense of purpose. Because we value relationships, each day begins with community time - morning meeting, advisory teams, or class meetings. At mid-morning, we take a break from our studies to share social time with classmates and to enjoy a healthy snack. Because we value community, we also set aside special times to celebrate team and individual achievements; to “dress for a cause" and to participate in community service projects supportive of causes beyond ourselves; and for having fun together at school dances, spirit week celebrations, theatrical and musical productions, visual art exhibitions, and sporting events. Every upper school student is guided by an adult advocate who serves as her/his advisor. Advisors become well-acquainted with each student (advisee), encouraging social, emotional, physical, and academic growth with structures and strategies based in part on the work of Developmental Designs. The advisory program is a unique way to help faculty meet the distinctive needs of high school students in constructive ways, cultivating relationships and creating a sense of belonging, as well as to bridging the connections between home, school, and the greater community. Advisors are readily available to students, beginning each day together in morning meeting, class meeting, or advisory team meeting. Advisors serve as the student's primary advocate throughout her/his high school career, monitoring their advisees' progress and coordinate parent-student-advisor conferences. Upper school students display a spirited commitment to our co- and extra-curricular. In addition to classroom and service learning activities, upper school students take part enthusiastically in individual and team sports, athletic events, theatrical and musical productions, visual art displays, student government, spirit weeks and cultural celebrations, clubs, organizations, societies, and academic competitions. View the Student Activities page for a more extensive list with descriptions. At the end of the day, teachers offer academic assistance to students, supporting students' understandings of the day's lessons or a unit of study, answering students' questions, and offering suggestions in ways to prepare for upcoming quizzes or tests. Students are encouraged to utilize the writing lab, open to all middle and upper school students, supervised by a member of the Literature and Language Arts department, and supported by upper classmen offering assistance to their peers on writing projects. View our Learning Resources page for more information about the school's resource offerings.